The second day of the British Tamil referendum on the question of independence for Eezham Tamils in the island of Sri Lanka began Sunday. 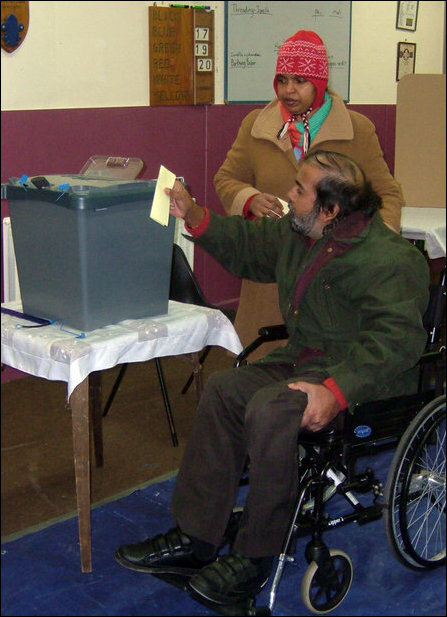 Polling stations opened at 10:00 a.m. across London and report once again an incessant stream of eager voters. 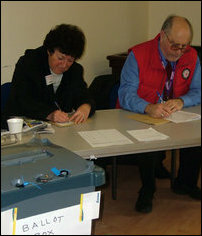 Those who had been at work Saturday were keen to partake in the democratic process. Voters accompanied by their small children, elderly ladies dressed in sarees and grandfathers leaning on walking sticks dropped their votes into ballot boxes. London Tamils were out and about early this morning finding their way to the several polling stations spread across the capital. Severe delays and cancellations to public transport did not deter them. University students in the midst of their exams took time out of their revision schedule to ensure they, like their parents before them, could express their opinion on Tamil Eelam. Independent officials and Tamil National Council volunteers also arrived promptly to ensure the voting process ran smoothly. 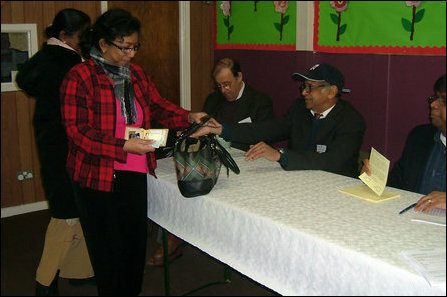 Some polling stations experienced an unexpected number of voters and volunteers were drafted in from elsewhere to assist. 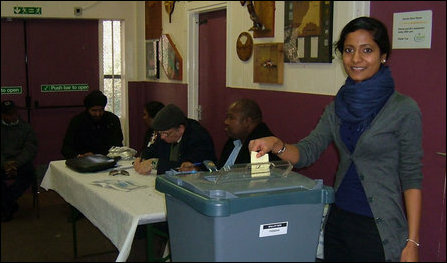 Determined to ensure each and every eligible Tamil was able to vote, many young British Tamils volunteered to assist those who were less able to travel by driving them to and from the polling stations. Polling stations close today at 6:00 p.m. Votes will be counted from then onwards in central London.